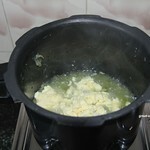 Heat 1/2 tablespoon of ghee and add cashew nuts and fry till it is brown in color. Just drain the cashew and keep it aside. 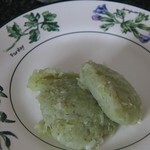 Crumble the sugarless koya and keep it aside. 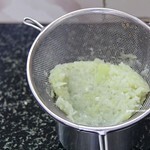 Add another tablespoon of ghee and add grated bottle gourd and fry for 2 mins. 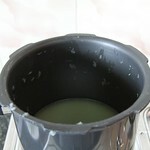 Cook it by closing the lid. 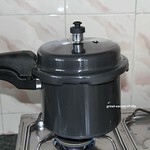 I have pressure cook it till 3 whistles. 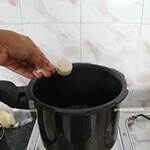 When it is cool down drain the water from the cooked bottle gourd. 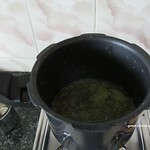 Mix together drained water and sugar in kada / pressure pan heat it till you get string consistency. 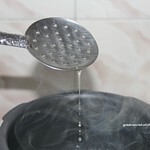 Stir in between. 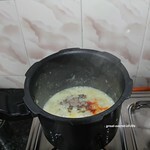 Add cooked bottle gourd. mix well. Cook it for another min. Add Sugarless koya. Mix well. 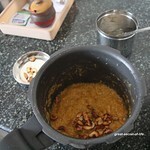 Add caradamon powder, Kesari powder and another 1/2 tablespoon of Ghee. Keep stirring. 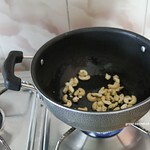 When it start to come together (not sticking to the pan) add fried cashews and mix well. Switch off the flame. 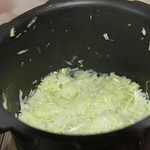 Serve hot with ice cream or cold. 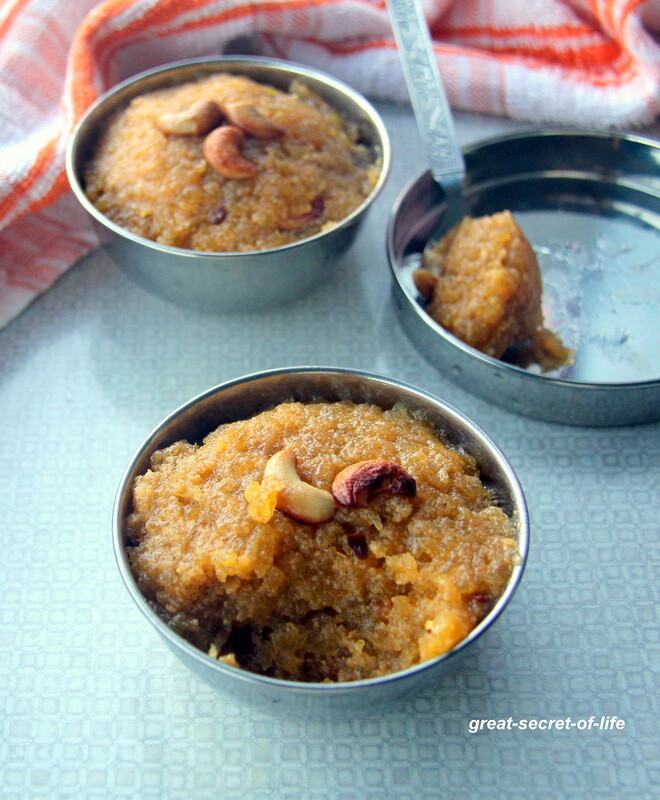 Tempting halwa ..looks fabulous . 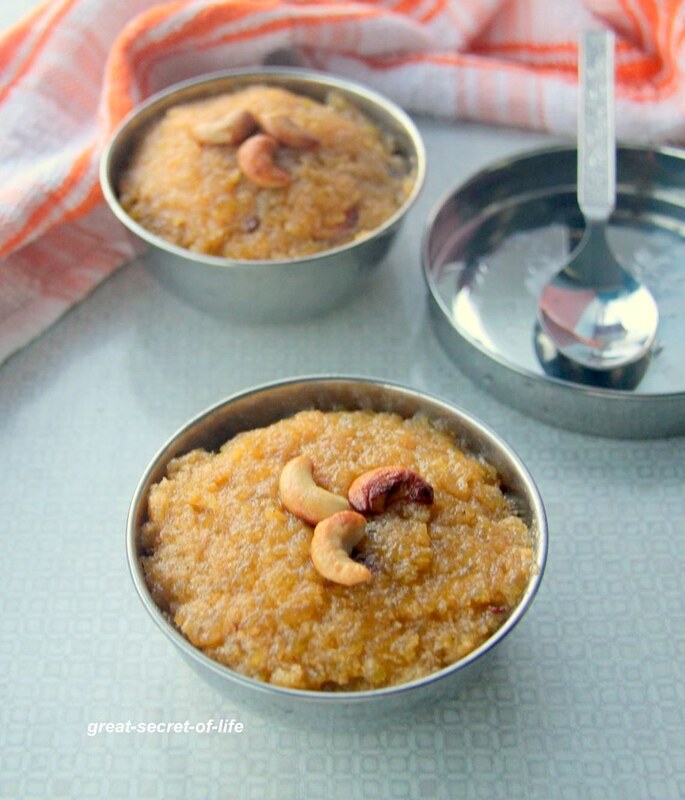 yummy, mouthwatering and healthy halwa. 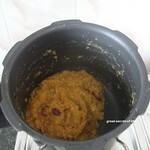 Would love to have some, halwa looks sooo tempting. 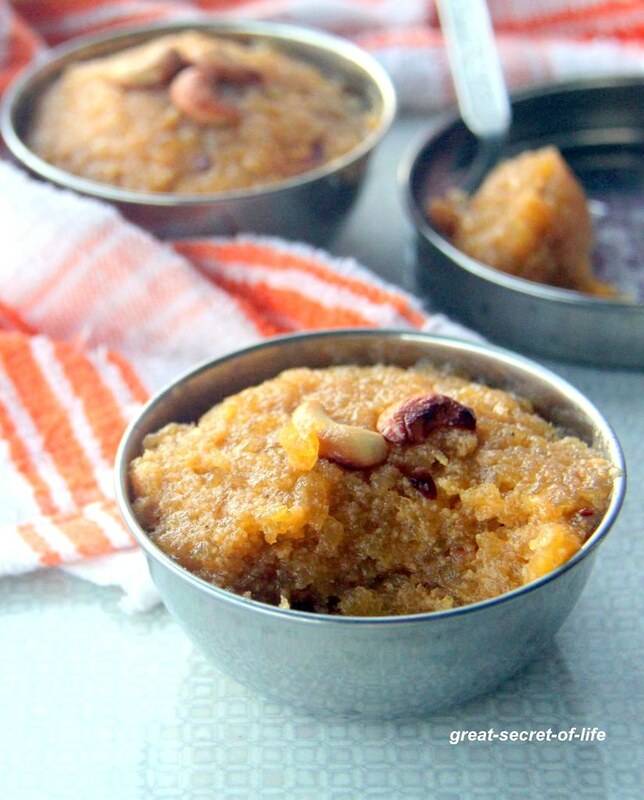 My all time fav halwa !